According to polls, about 80% of all New Year’s resolutions involve improving your health in some way—eating better, losing weight, or getting more exercise. If stepping up your exercise routine is on your “to do list” for the New Year, make sure you’re eating a balanced diet to fuel your workouts. Protein – Muscle is mainly made up of protein. 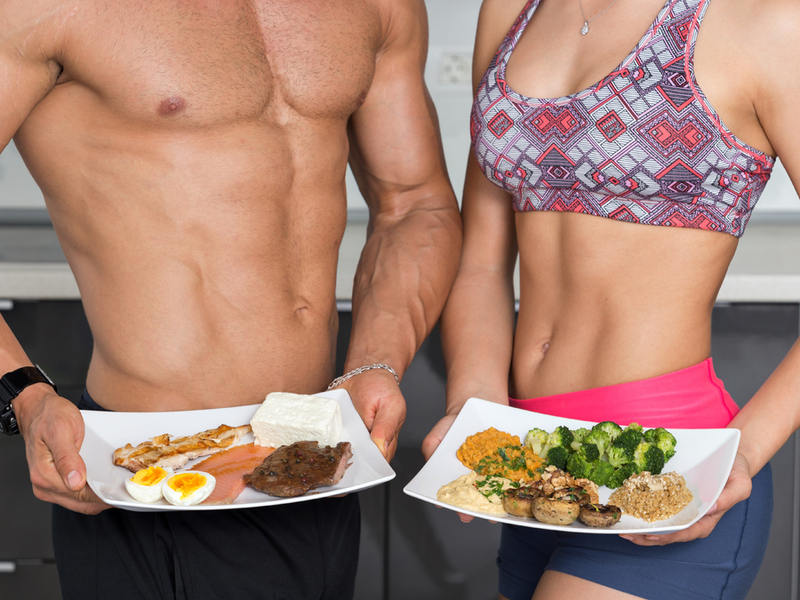 And as muscle is constantly breaking down and rebuilding, you need a steady supply of protein in your diet–especially if your goal is to build or firm up muscle. Good dietary sources are fish, meat, poultry, beans and nuts. Whey protein isolate is also a good concentrated source of protein. Vitamin D — Studies have shown that proper vitamin D levels in the body are associated with muscle strength and performance. Vitamin D is also required for the absorption and utilization of calcium and phosphorous. Both of these minerals are required for muscular contraction and function as well as bone growth and strength. Your body can make vitamin D from the sun and certain foods such as cereals and some dairy products are fortified with vitamin D. Still, it is difficult for most people to meet the recommended daily requirements for this vitamin. You may want to consider a vitamin D supplement or multivitamin that contains vitamin D.
Omega-3 Fatty Acids – Studies have shown that fish oil or the omega-3 fats in fish oil may support strength training. Include oily fish is your diet at least two times a week, or a high quality fish oil supplement. Vitamin C – This vitamin is required for collagen and elastin synthesis. Collagen is the rigid component of connective tissue that anchors muscles to bone. Elastin lets connective tissue stretch and return to its original state. Vitamin C also supports healthy blood vessels which transport oxygen and nutrients to muscles. Good sources of vitamin C include broccoli, tomatoes, bell peppers, cabbage, strawberries, oranges and grapefruit. Vitamin E – This vitamin is an important antioxidant that helps the body recover from oxidative stress—including intense exercise. Sources include sunflower seeds, almonds, spinach, carrots and avocados. Olive and canola oil also supply vitamin E.
B1 (Thiamin) – B1 supports protein metabolism and the formation of oxygen carrying hemoglobin. It is found in fortified cereal, bread, meat, rice and nuts. B2 (Riboflavin) – B2 is involved in energy and protein metabolism. Sources include cheese, eggs, milk, and peas. B3 (Niacin) – B3 is essential for energy production and can be found in milk, eggs, fish, legumes, and potatoes. B6 (Pyridoxine) – B6 is important for protein metabolism, growth, and carbohydrate utilization. Soybeans, butter, brown rice, and fish are good sources of B6. B12 (Cyanocobalamin) – B12 supports nerve tissue, the metabolism of fats and carbohydrates, energy metabolism, and cell regeneration. B12 is found in milk, poultry, eggs, meat, and liver. B7 (Biotin) – B7 supports amino acid metabolism–the building blocks of protein. Good sources of B7 include mushrooms, egg yolk, beef liver, and brewer’s yeast. Since your body doesn’t store most B vitamins, (B12 is an exception) make sure you’re getting enough B vitamins in your diet, or consider a B-complex supplement containing a range of B vitamins. If you’re over 40, then you’ll want to read our latest article, Exercise Myths for Adults over 40.